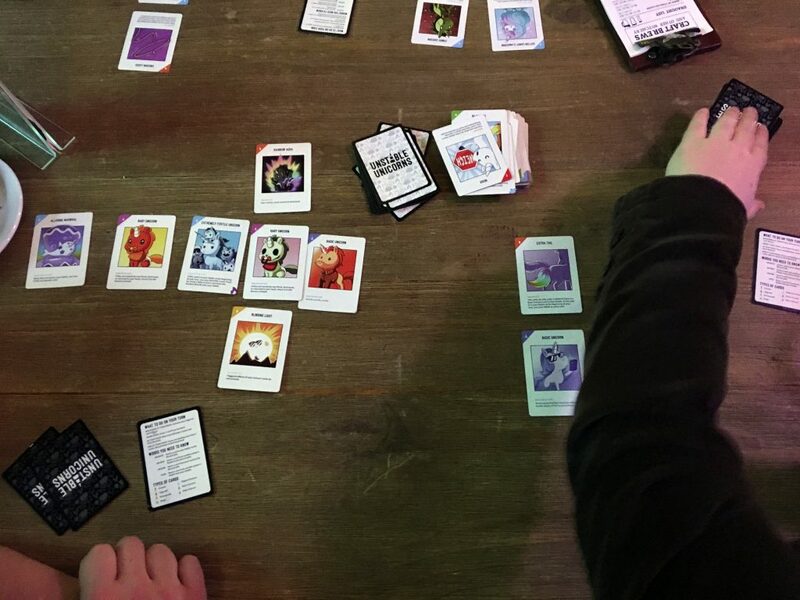 Meet the Game Master Tim and his group of “gaymers” — queer tabletop gamers. 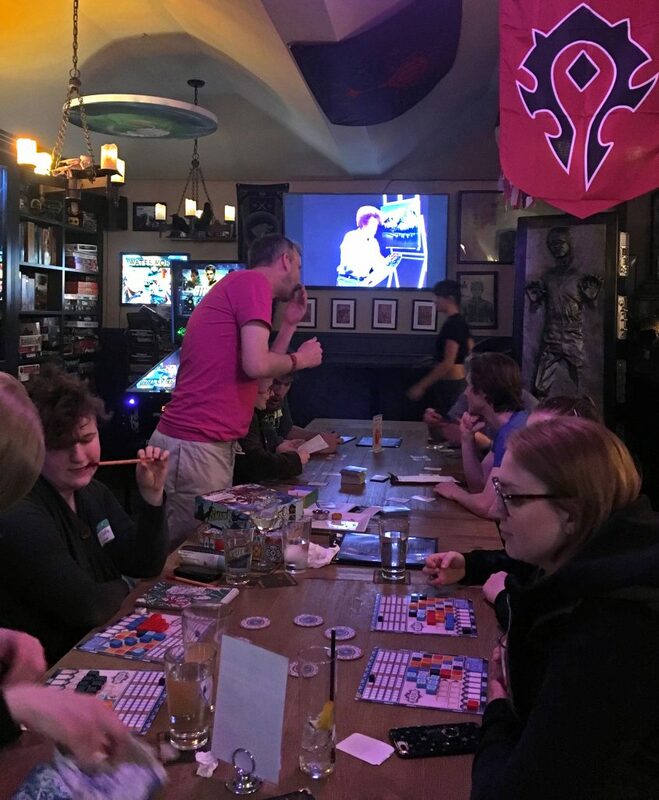 Since the autumn of 2017, they have met every month to play games like Magic: The Gathering and Codenames. 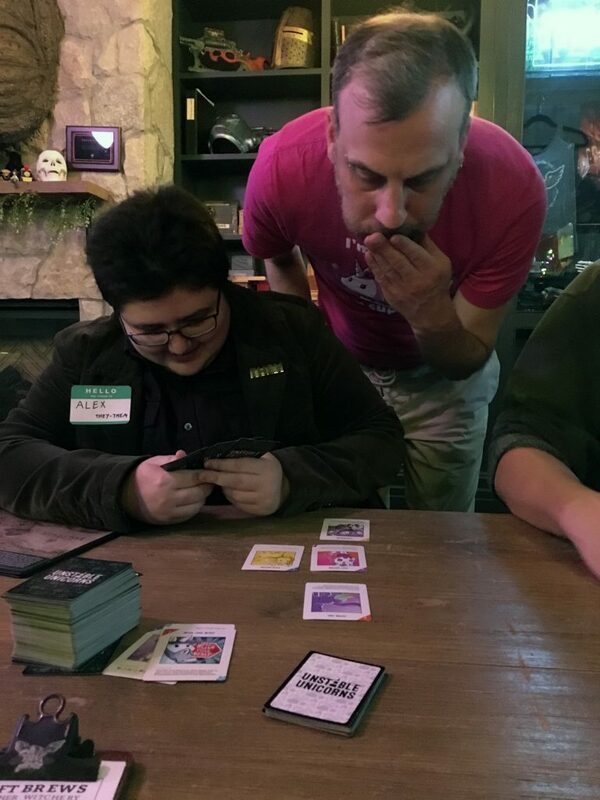 These game nights mean different things to the people who come. 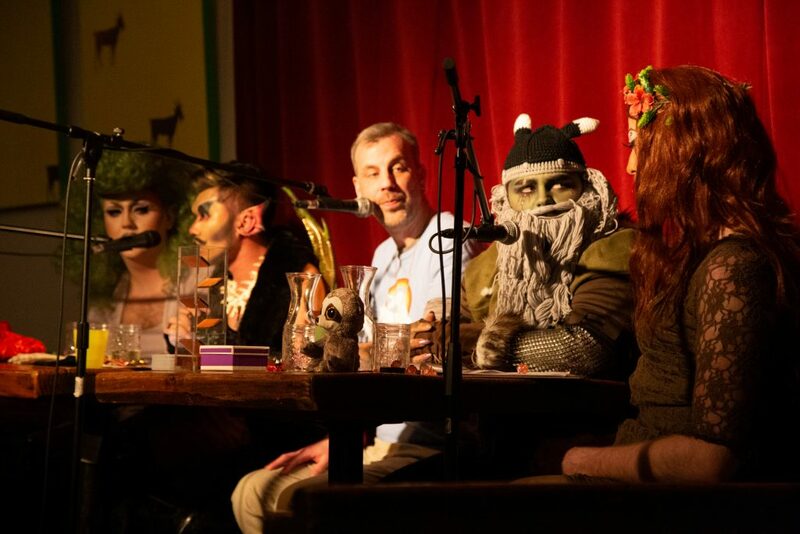 Listen to Tim and fellow gaymers Felix and Adam Zapple discuss the communities they’ve found, how Dungeons and Dragons reignited one person’s passion for drag, and how tabletop games encouraged another to think of their own sexual identity in new ways. A Tuesday at the Storm Crow Alehouse. Bob Ross plays in the background. 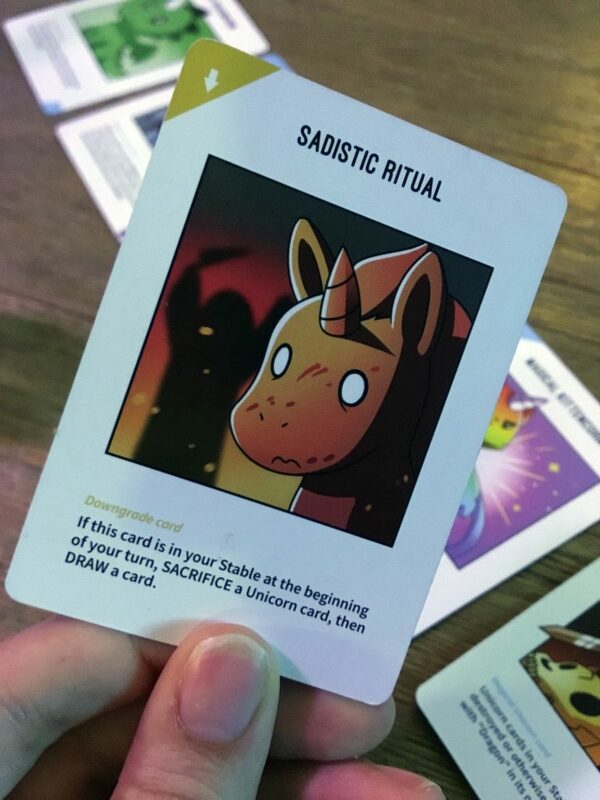 Tim overlooks a game of "Unstable Unicorns." Playing "Unstable Unicorns," the game that Tim insists is the queerest tabletop game out there. 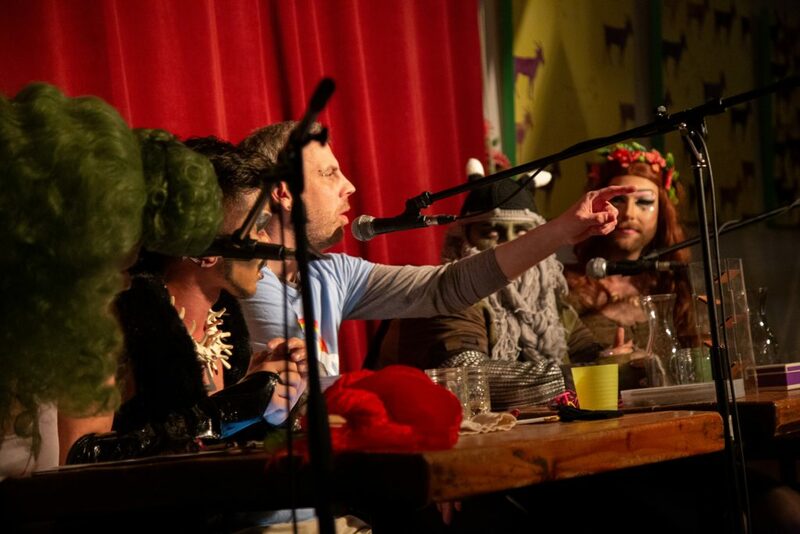 Tim, centre, and the drag queens and king of "Fierce Adventures." 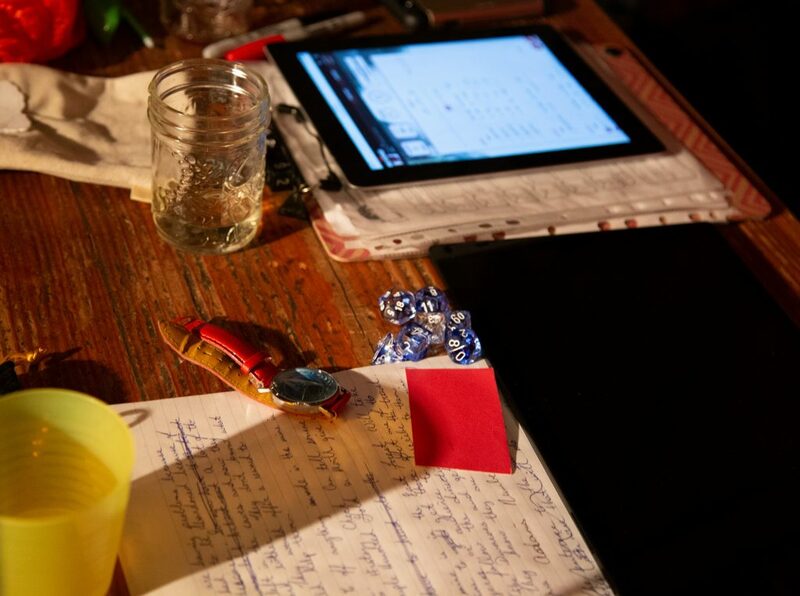 The tabletop at "Fierce Adventures" is covered with pages of notes, a watch, and plenty of dice. Shay Dior during her lip sync. 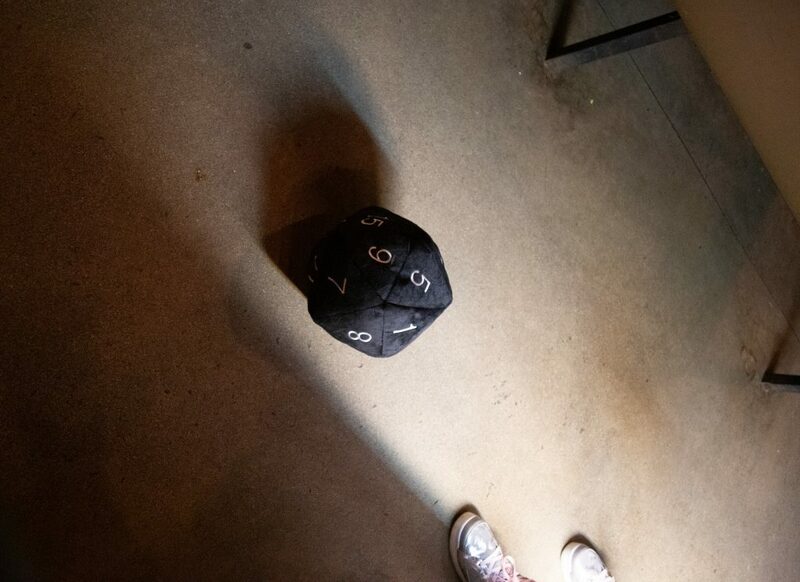 Fierce Adventure's large, fuzzy D20, or 20-sided die. Audience members are able to roll for their favourite characters and affect gameplay.